In order to keep pace with the never ending demands of customers, we are involved into offering wide range of Hair Cap. Body wrap is unique spa formula designed to entrap heat that facilitates the breakdown of fat cells. The unique properties make a perfect treatment for detoxification further providing nourishment. Our company has been successful in winning appreciation from the clients as one of the most prominent names in the trading of Massage Sheet. We are offeringf a wide range of New Accessories like Streaking Cap, Scissors Case, Section Clips, Carbon Anty Static Combs, Butterfly Clips & so on. We are offering Disposable Brief to our clients. 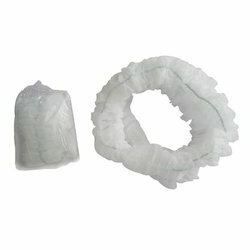 We are offering a wide range of Disposable Spa Underwear.